Shop for men, women, and kids' apparel at reduced prices at the HYPE. Sample Sale. 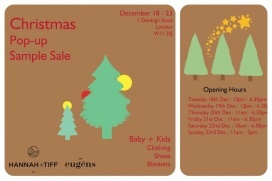 Take up to 75% discount on kids' apparel, blankets, and footwear at the Hannah & Tiff and The Eugéns Sample Sale. 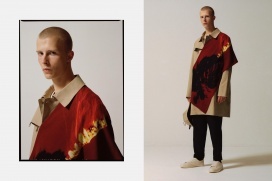 Shop for men's apparel at reduced prices at the Judas Sinned Represents Sample Sale. Take up to 50% off on wedding dresses at the Lara B Bridal Sample Sale. 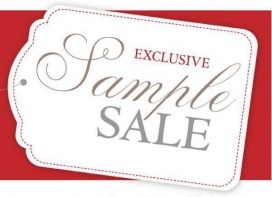 Shop for wedding dresses at reduced prices at the Bridal Path Sample Sale. Over 60 bridesmaid dresses are available. Designers included are True Brida, Dessy, and Kelsey Rose. Call +44 151 722 0006 to book an appointment. 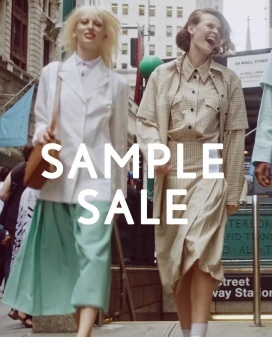 Shop for women's apparel at reduced prices at the Max5Pound Sample Sale. Items are available for only £3. Shop for womenswear and bridal gowns at discounted prices at the Fairygothmother Sample Sale. Items are available for only £400 and £200. Shop for women's footwear at reduced prices at the Ops and Ops Sample Sale. Take 20% to 50% discount on tops, dresses, and skirts at the RIXO London Sample SAle. 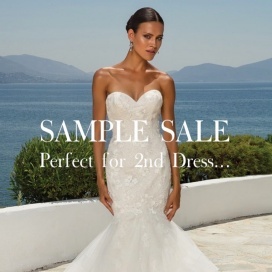 Shop for wedding dresses at reduced prices at the Angelica Bridal Sample Sale. 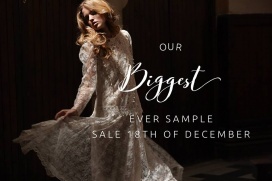 Take up to 80% off on bridal gowns at the Fairytale Sample Sale. Designers included are Ronald Joyce, Ellis Bridals, Pronovias, Allure, Demitrios, Eternity, and Rosa Clará. Price ranges from £200 and £1000. Call 020 77367776 to book an appointment. 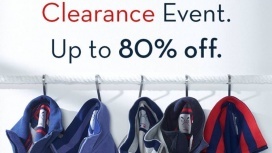 Take up to 80% off on men and women's apparel and accessories at the Crew Clothing Warehouse Sale. Take 40% to 70% discount on wedding dresses, kids' apparel, accessories, and lace fabrics at the Minna Sample Sale.